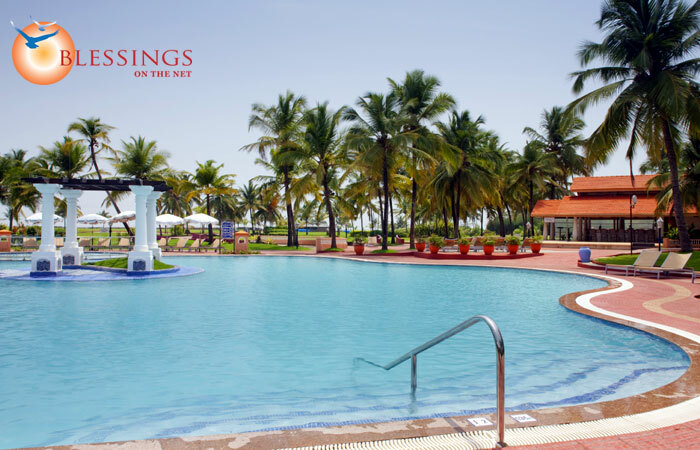 Holiday Inn Resort Goa a 5 Star Resort is located on a pristine beach in south Goa has 170 luxuriously appointed rooms & suites. Lost in 26 acres of unspoiled tropical lush green landscape gardens embracing the warm clear waters of gigantic Arabian Sea. Location: Hotel Holiday Inn Resort is situated on the Mobor Beach. 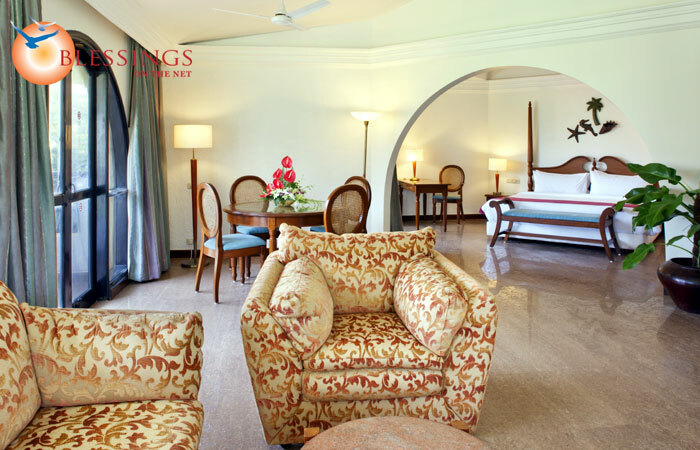 The resort offers 203 elegantly designed and luxuriously furnished rooms. 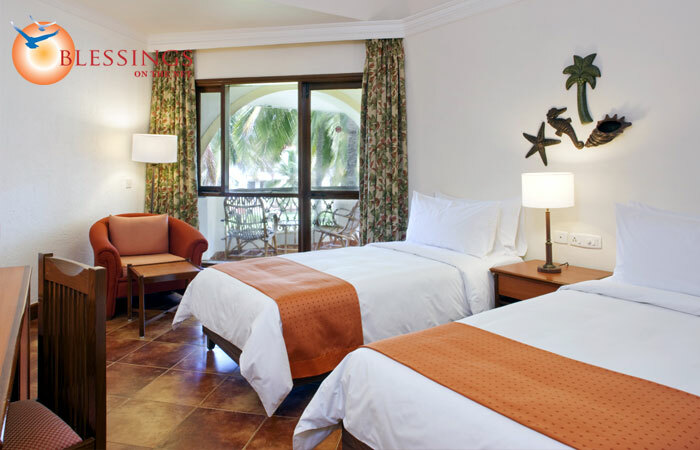 The rooms are categorized into Suites, Kids suite, Handicapped Room, Deluxe Rooms, Plaza rooms and Plaza Pool View rooms. 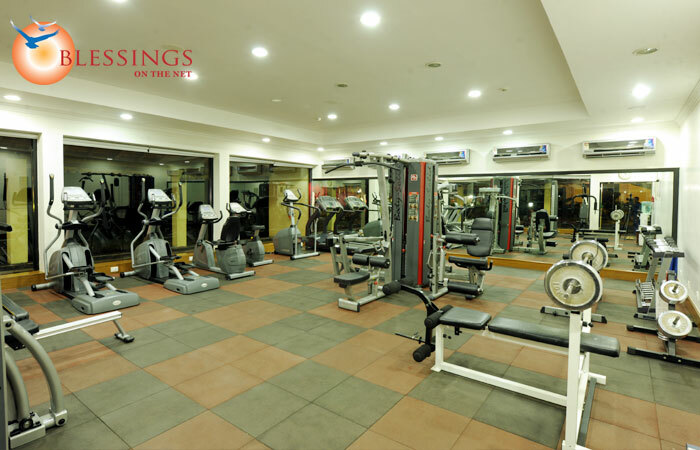 All the rooms are equipped with amenities like air conditioning, well appointed work desk and seating arrangements, mini bar, tea/coffee makers, electronic safes, luxurious bathrooms with bath tub, hair dryers, wardrobe, direct dialing facility, colour television with live satellite entertainment. 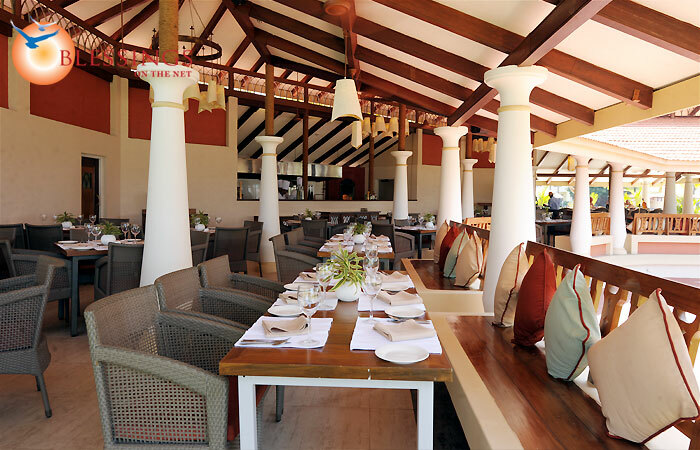 Holiday Inn Resort has 5 restaurants, namely, Whispers of the Orient, Cafe Mardi Gras, The Village, Fish Grill and Cakes. The hotel also has a coffee shop called Patio and a bar by the name of Sun Downer. 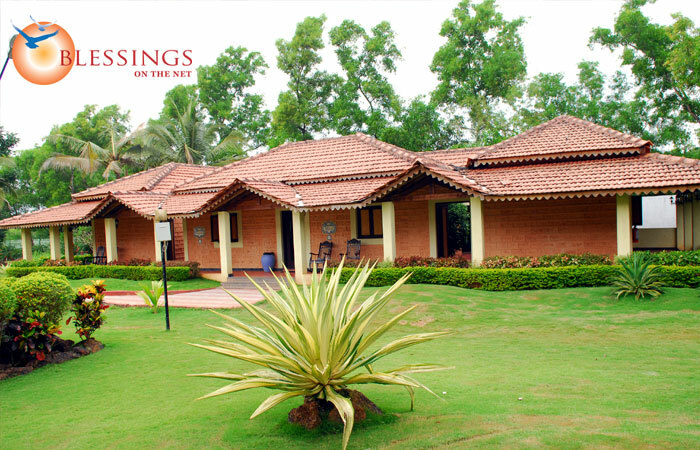 Courtesy A/C Car transfers from Dabolim Airport or Margaon Railway station ONLY FOR SUITE ROOMS. One half day sight-seeing (Fixed itinerary) by A/c coach. The departures for the same would be fixed. (Monday, Wednesday, Friday and Saturday). Valid for a minimum stay of 3 nights.